A character driven thriller that engrosses with every plot twist and reveal, The Scent of Rain & Lightning is the cinematic equivalent of a mesmerising page turner. Some movies grab your attention from the beginning. 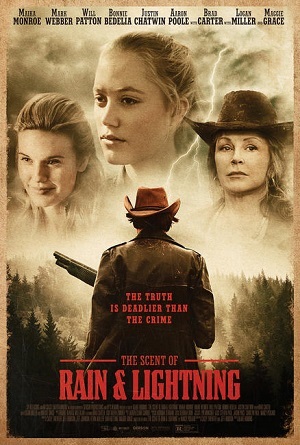 The Scent of Rain & Lightning begins with an intriguing scenario: Jody Linder (Maika Monroe) is told the news that Billy (Brad Carter), the man imprisoned for the death of her parents Laurie (Maggie Grace) and Hugh Jay (Justin Chatwin), was released from prison after new evidence cleared him of the heinous crime. Jody delves into the past of her powerful farming family, dredging up secrets that are sure to have dangerous consequences for the present. An adaptation of the best-selling Nancy Pickard novel, this Blake Robbins directed murder mystery is the best kind of slow burner: atmospheric, perfectly paced, and filled with rich characters. As adapted by Jeff Robison and Casey Twenter (the duo behind Rudderless), and edited by Lauren Clark Carroll, the film implements a parallel time structure that smoothly transitions between past and present. Performances are strong all around. Maika Monroe lives up to the promise of her breakthrough turn from It Follows with a powerful portrayal of a character who strips back the facade of the world around her and confronts the ugliness underneath. Great too is Maggie Grace (who also produces) in her role as a mother torn between the duty to her family and need for independence. Strong supporting turns also feature from Brad Carter as the maniacal Billy, and Mark Webber as the conflicted Uncle Chase. The characters they portray and the Western genre setting in which they do so could have become a thing of campy melodrama in the hands of a lesser filmmaker. 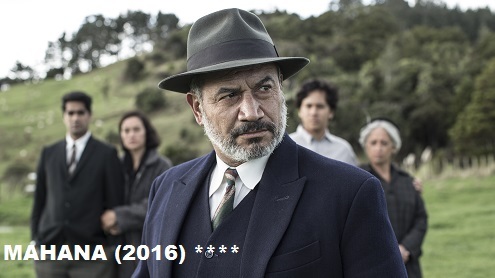 Blake Robbins does not fall for such temptations, delivering an assured and confident movie, that revels in the complicated and afflicted nature of its characters, presenting their saga of death, family and betrayal at a cool temperature. The result is a gripping mystery of strong character and mood.